SeaBus service will be extended to meet the last Canada Line train as part of the planned improvements in Phase Two of the 10-Year Vision. Public engagement for Phase 2 of the Mayors’ Council’s 10-Year Vision is now underway through May 11! Phase Two builds on the momentum of Phase One, bringing even more transit and transportation improvements to the region. As part of Phase 2 of the 10-Year Vision, potential upgrades, such as transit priority and enhanced passenger amenities, are planned for the 95 B-Line. 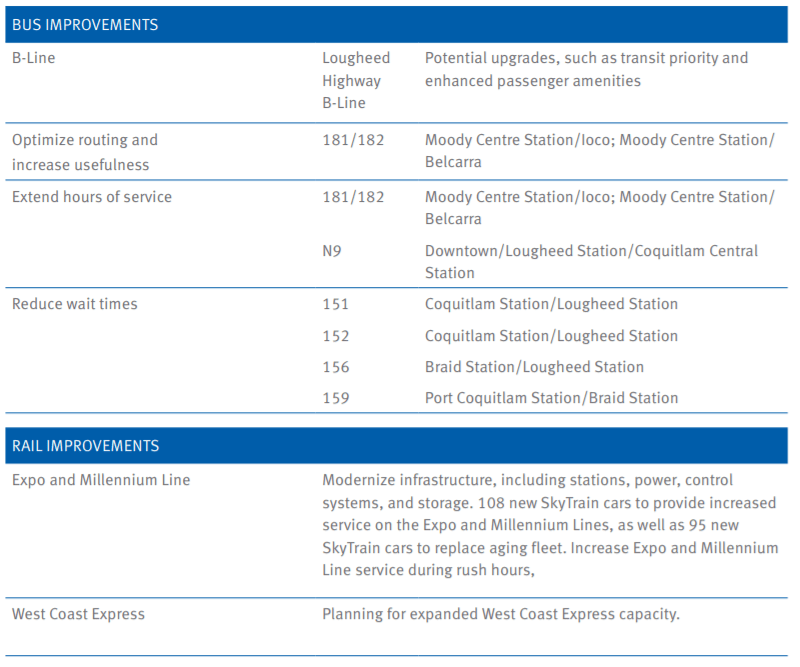 We’ve got a lot going on at TransLink these days. Already underway, Phase One of the 10-Year Vision is bringing a 10 per cent increase in bus service across the region and more! Among the funded and implemented improvements in the Vancouver, UBC and University Endowment Lands communities are new B-Line routes on Hastings Street and 41st Avenue, increased service on SeaBus and 17 different bus routes, SkyTrain fleet expansion, as well as upgrades to SkyTrain stations, cycling, road and pedestrian infrastructure. Phase Two, building on the first phase’s momentum, is set bring even more improvements to these communities and the rest of the region! As part of Phase Two, we’re planning potential upgrades, such as transit priority and enhanced passenger amenities, for the 95 B-Line on Hastings Street and the new 41st Avenue B-Line. We’re introducing service to the growing East Fraser Lands (River District) community and more NightBus service is coming with extended hours of service. We’re reducing wait times on the 26, 27, 44 and 100 as well reducing overcrowding on the 2, 4, 14, 25, 44, 49 and 84. These are only the bus improvements! We are also introducing SkyTrain improvements, planning for rapid transit to UBC’s Point Grey campus, and building and operating an extension of the Millennium Line along Broadway to Arbutus Street. As part of the Mayors’ Council’s Ten-Year Vision, TransLink’s delivering a new SeaBus, scheduled for delivery early next year! This means more frequent service will be coming between Waterfront Station and Lonsdale Quay with sailings every 10 minutes during rush hour. Recently, the Mayors’ Council and the Province of British Columbia announced a funding proposal for the regional share for Phase Two of the 10-Year Vision – a major step forward in securing the largest investment in transit and transportation in Metro Vancouver history! 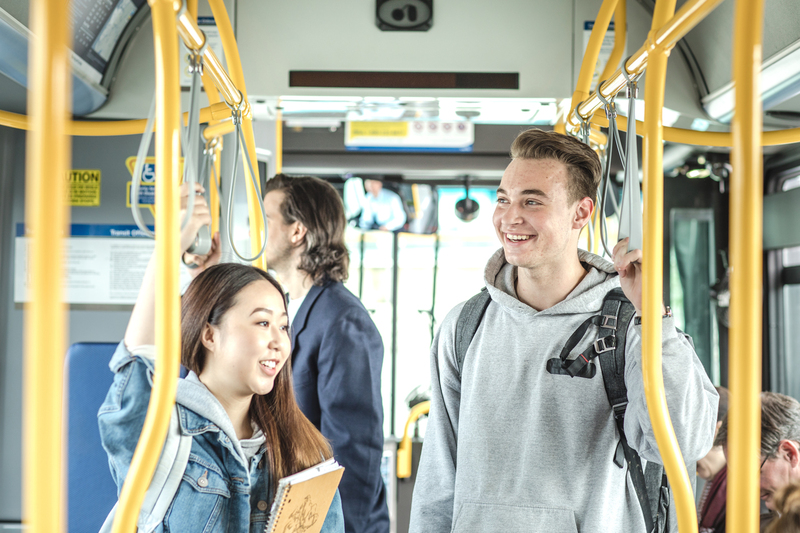 B-Line bus service offers faster travel time, direct routing and connections to key regional destinations in areas that need it most. It’s a cost-effective way to reduce congestion and overcrowding on transit. You may have heard, 80 new SkyTrain cars will be available for service in Metro Vancouver by 2020 (28 of which are arriving early!). Now, we’re excited to announce we’re preparing to roll out four new B-Line bus routes by the end of 2019! TransLink CEO Kevin Desmond appeared on CBC Radio’s The Early Edition on January 10. TransLink CEO Kevin Desmond appeared on CBC Radio One’s The Early Edition with Stephen Quinn on January 10, looking ahead to what’s upcoming for the organization in 2018. 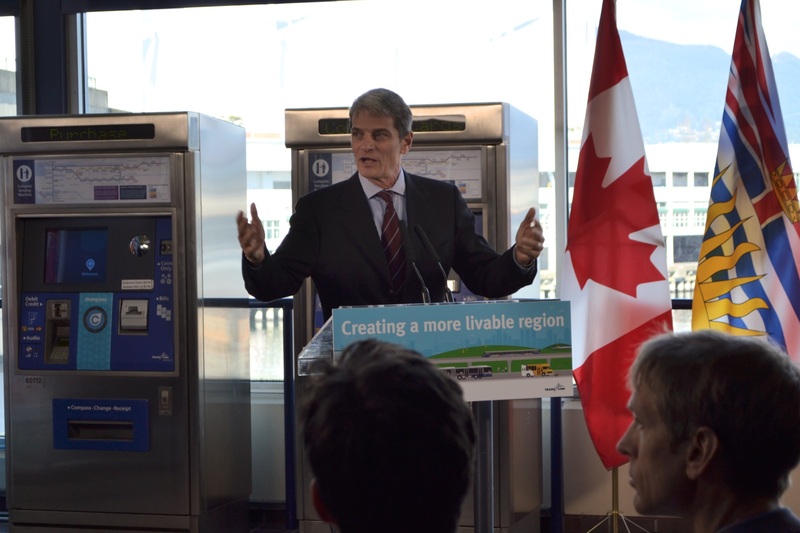 He talks about 10-Year Vision funding to the Transit Fare Review, and everything in between. Have a listen! Big thanks to CBC for sharing the audio with us.